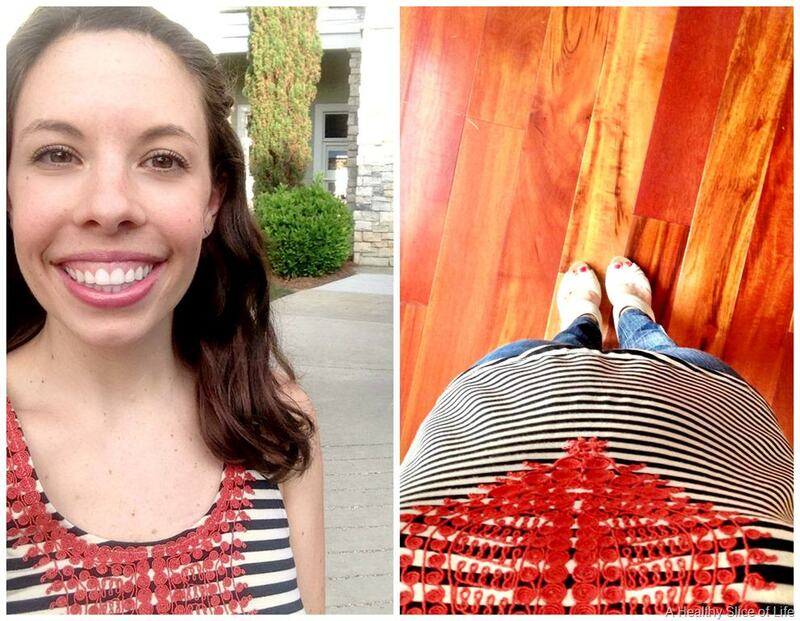 Yesterday morning I popped out of bed and put on my blogger hat. I edited pictures, hammered out emails and chatted with y’all. Then I heard a tiny, newborn (is 7 weeks still a newborn??) squeak and switched into my mom hat. I wore that one for a lot of the day. Through blowouts, spilled milk, snuggles, book reading and bath times. I popped on my wife hat to hear the latest with David’s work and direct him to where he could find some grub in the fridge. Then, I took off all my hats and put on heels for the first time in… shoot, years? I met a couple girlfriends on the back deck of The Prickly Pear. I was the first to arrive by about 10 minutes (I was a little overeager) and spent a few minutes sipping on a marg and savoring the cool breeze. Have I mentioned I love North Carolina’s weather? For a little while I had on no hats. I had no responsibilities. I had nobody’s tastes to consider but my own. And those tastes chose tableside guacamole obviously. I’m not sure if it was the real clothes, the fresh air, the time with girlfriends or the tequila, but I left feeling rejuvenated. For the first time in a while, I didn’t feel like MOM, I felt like ME. Don’t get me wrong, that mom hat of mine is one of my very favorite hats. Still, every once in a while it’s nice to take it all of (hypothetically speaking; I didn’t have that much tequila) and just spend some time being me without any expectations. Now it’s morning and true to form I hear a little squeal in the next room— time to go pop on that mom hat! And after last night I’m feeling more energized and happy to pop that sucker on and run with it! Do you ever feel defined by one of your rolls? – wife, mom, student, job title? How do you remember who are outside of what you do? I think we as women can easily get sucked into our roles and forget that we need a break from our roles…just like it is good to take a vacation from a ‘real’ job…you are healthier, happier, and more productive in all of your roles when you take a break from it all! Great post and a great way to look at all the roles we play through the day. I’m a mom, wife, business owner, blogger, professional childrens sports taxi driver (can that be a profession?) maid, groomer, fitness instructor, friend, sister oh man I can’t go on because my eyes hurt just thinking about this list. It’s amazing how much we balance. Professional childrens sports taxi driver is most definitely a profession! Sounds like your plate is full of wonderful stuff 🙂 Great job on balancing it all Renee! You look so beautiful!!! No way did you just have a baby 7 weeks ago. I can’t wait to hang with your sweet little family one day soon! Oh, you have to try Graeter’s Coconut Chip ice cream. Don’t look at the nutrition facts and just enjoy one scoop….doesn’t get much better! Good for you!! I think everyone deserves a break once and a while (Plus that marg looks amazing!!) I’m not a mom, yet, but I can imagine that it does feel very liberating to have some time away to yourself every so often. Random question: Do you put your blog name on each picture individually, or do you some sort of program that does it for you all together? Kaitlyn (Keeping up with Kaitlyn) recently posted..Happy Birthday Momma! 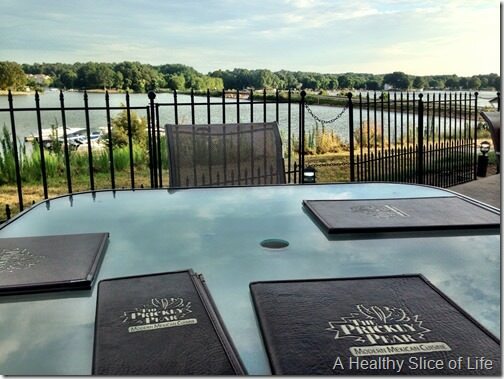 I blog through Windows Live Writer and I set it to automatically watermark each photo! Ps: no heels for that long!? As a fellow 5’1″er I can’t imagine … 🙂 I did wedges and such even throughout pregnancy. I need to be tall(Er)! Any recs for comfortable heels? I miss being tall(er ;)) but it’s been so long that they hurt me so quickly! CAMPERS! they are the best. not super cheap but you can find them on sale and they last amazingly long. i also like the TOMS platforms and they’re pretty inexpensive. What a great way to connect with yourself!! I like arriving places early, its nice to have a little down time all alone. I’m also a big fan of solo target or grocery store trips. Oh the many hats we wear! It is easy to feel yourself getting lost in all those hats and meeting everybody else’s needs. That is why it is so important to schedule in some down time. Good for you for getting out and having a little fun! You are a super mom! How did you get involved in playgroups in the Lake Norman area? I am going to be a FTM in Moorseville in August and we don’t even know where to start! Great post! I constantly find myself struggling with my roles and remembering to take time for myself. Between working full time and having a toddler, it is tough to find the time and energy for me. I take advantage of the weekends when my husband is around more and exercise, get a pedicure, or sometimes just sit on the couch and do nothing. 🙂 Seems like you are doing a great job balancing all of your roles. Great job! I think this post is a good example of why you can’t tie on that mommy hat too tight. You have to let go. It’s why running has been so great for me as it allows me another way to define myself outside mom and wife. Otherwise, I think I would go crazy. Glad you had a chance to take off the hats and get re-energized. A balanced life requires “ME” time. Glad you didn’t drink too much tequila cuz as the song says “tequila makes her clothes fall off”! John J. recently posted..This Mental Health “Test” Can Help You Better Understand Yourself! Thank you, Jodi. I know she needs someone to temper that wild child in her! Good to know that such a responsible person has her best interest in mind. Or, might you be joining her on her second or third MNO? 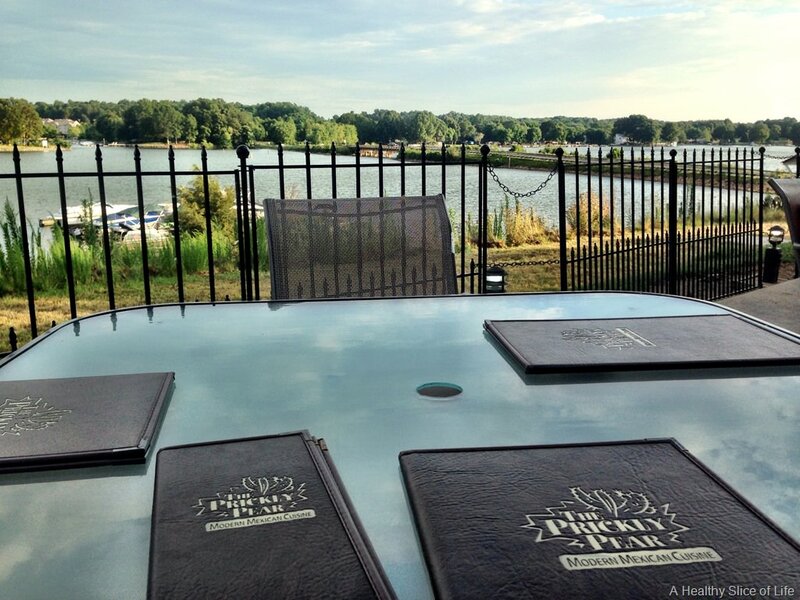 Random question….where/how do you edit and store your pics as you are blogging? I am on a crazy get organized streak with all things tech related right now. Oh yeah, I love my girlfriends! As for pictures, I edit using Picmonkey.com. I organize them into folders based on posts and have an external hard drive for ones I want to save, but usually (food pics and such), I end up deleting after posting so they don’t take up much room. Love this post! So proud of you for taking time for YOURSELF and throwing heals on and having a margarita, you go girl! Haha, now I’m going to have the song ‘Tequila makes her clothes fall off’ stuck in my head all day 😉 I love that you got a little ‘me’ and friend time last night. (In all my wisdom, yeah right! ), I think it is super-important that moms do things to re-energize. When you go back into ‘mom mode’, you’re more prone to be happy and attentive. That sounds perfect! I know I would have been the first one there, too. 🙂 So glad you got a girls night out! 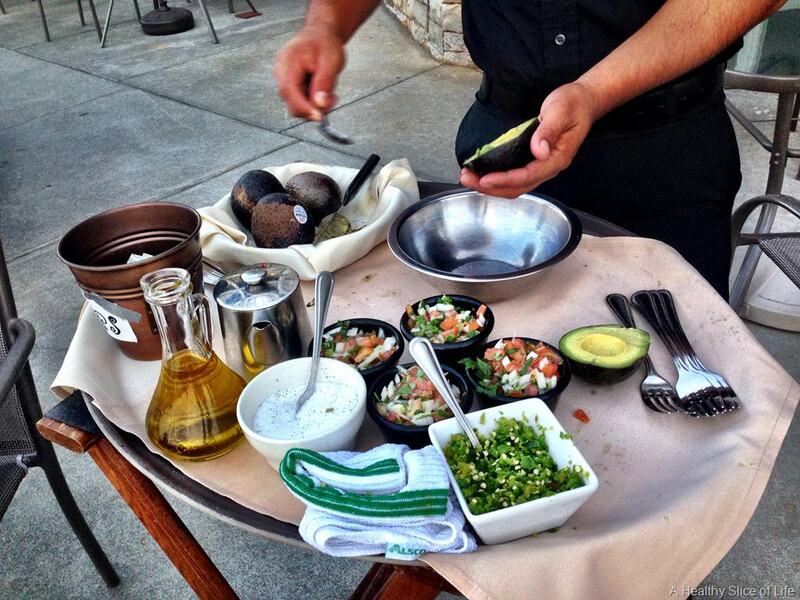 Any restaurant that makes fresh guac at your table is a GOOD place! I love the commentary on wearing many hats. I love all the hats I have to wear, but I’m glad I don’t have to wear a work hat right now. I don’t miss that hat at all! 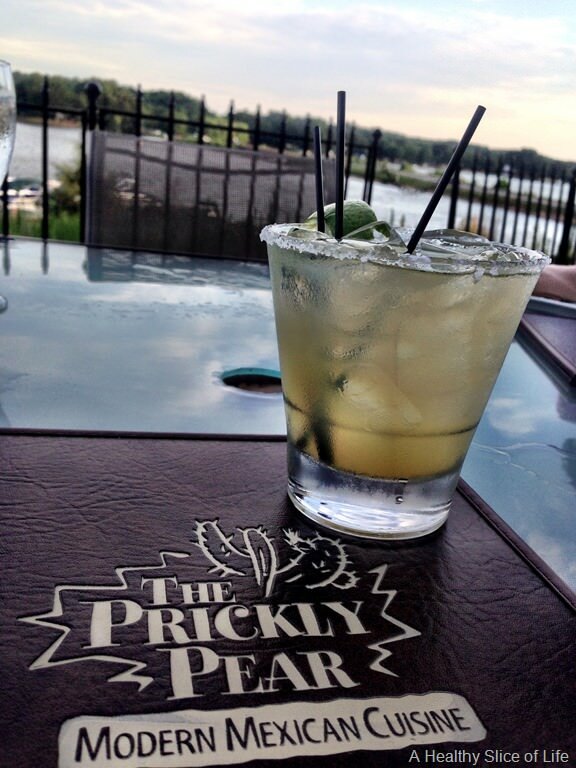 Thanks for taking us along to the Prickly Pear. I could really use a margarita right now! Hi Brittany! I’m a new-ish reader and have never commented before but I wanted to tell you that I’ve been so impressed about how you’ve kept up with blogging since Baby Girl #2’s birth! I love your posts and look forward to reading them! It’s always so refreshing to spend some time with friends. Sometimes it’s tricky because I want to spend kid-free time with my husband, but I also crave time with friends and also by myself. That’s great that you were able to get out of the house and enjoy a few minutes on your own until everyone got there. And tableside guac with a margarita is just the perfect way to enjoy that time! Great post! Being single means I wear one hat. LOL. Good post! I have realized over time that the one constant I NEED in my life to feel like ME is exercise. A good workout makes me a better person! This post is beautifully written. I definitely need to define ME more (even just to rejuvenate a bit). Like you, I love my mom hat, but I do need to remember that my ME hat is just as important at times!!! 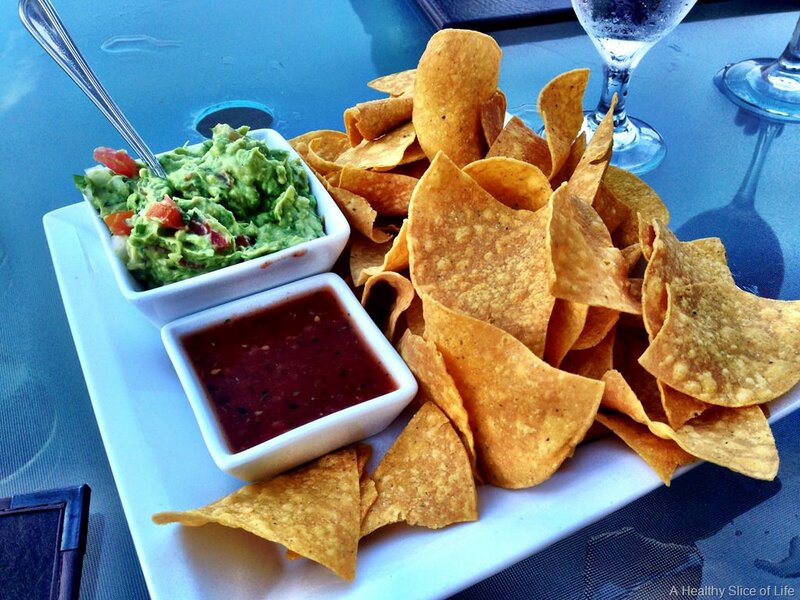 That guac…..oh my!! I want some now!